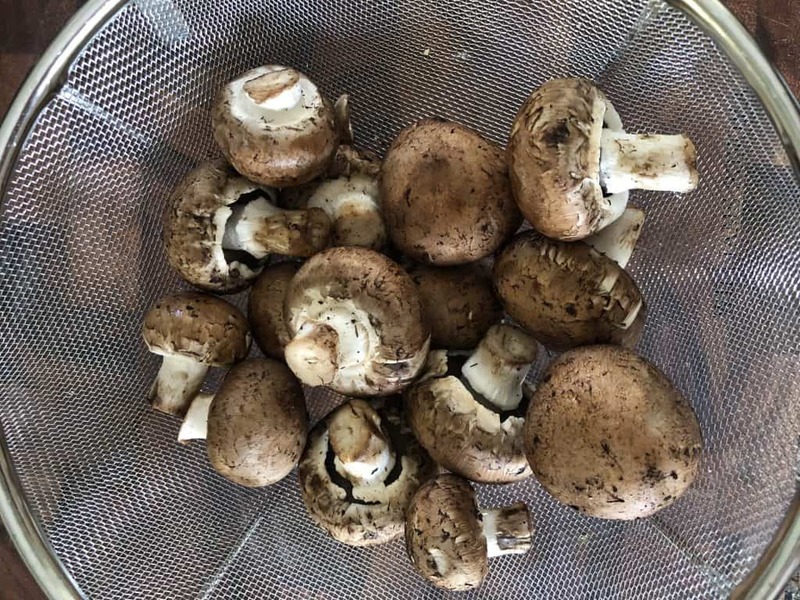 Mushrooms have always been one of my favorite vegetables. 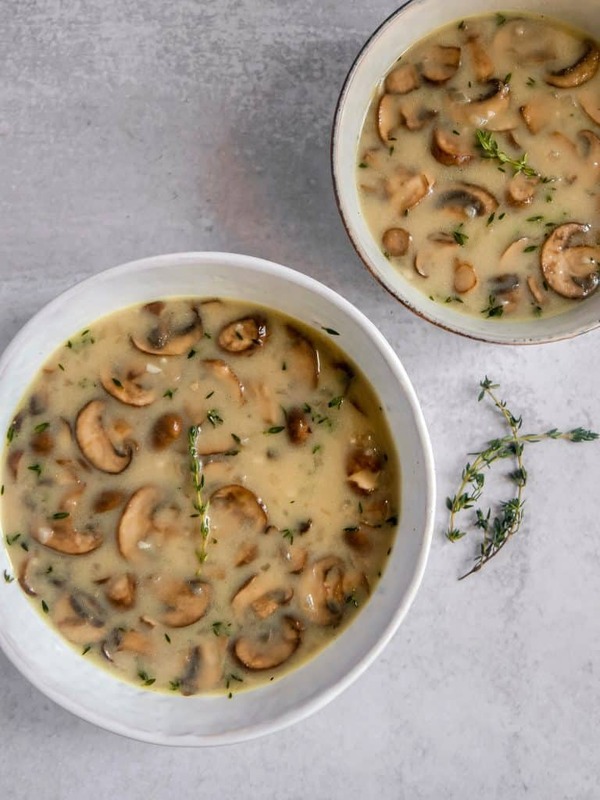 I know people have a love or hate relationship with them, but this mushroom soup should change your mind about them! One thing I’ve learned about mushrooms, is all the liquid they hold inside. Once you start cooking them, they will release liquid so prepping them is important. 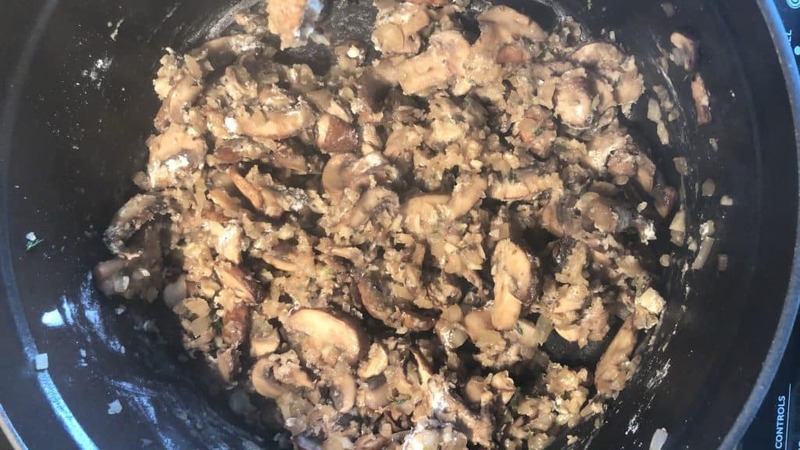 When I get mushrooms, I never wash them because I do not want to add even more liquid. 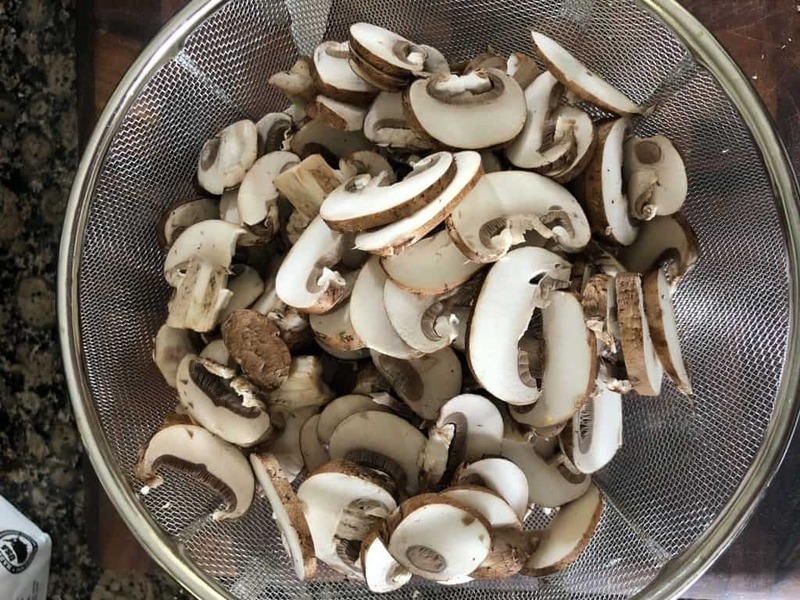 Instead, use a paper towel or dish towel to clean your mushrooms. 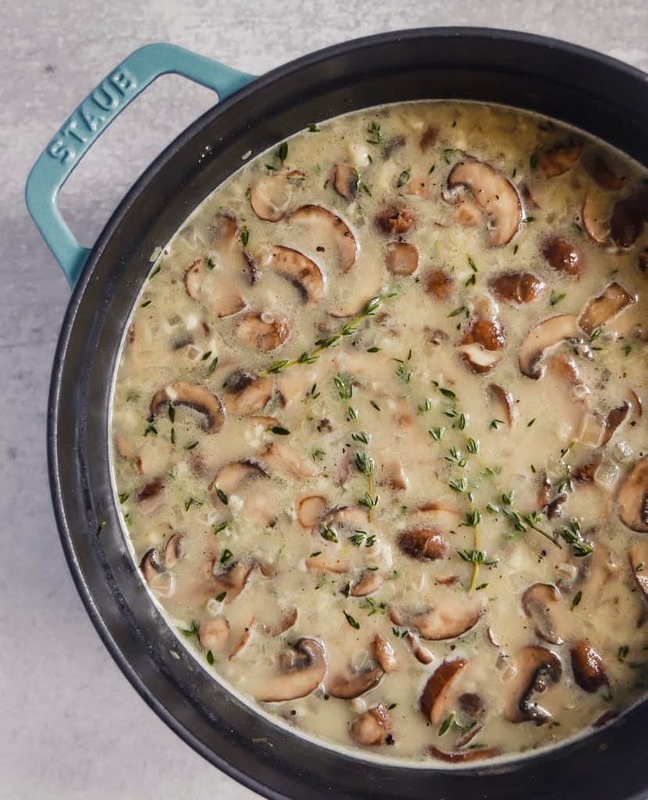 This will ensure that your mushrooms get a nice sear on them instead of just steaming themselves with their released liquids. 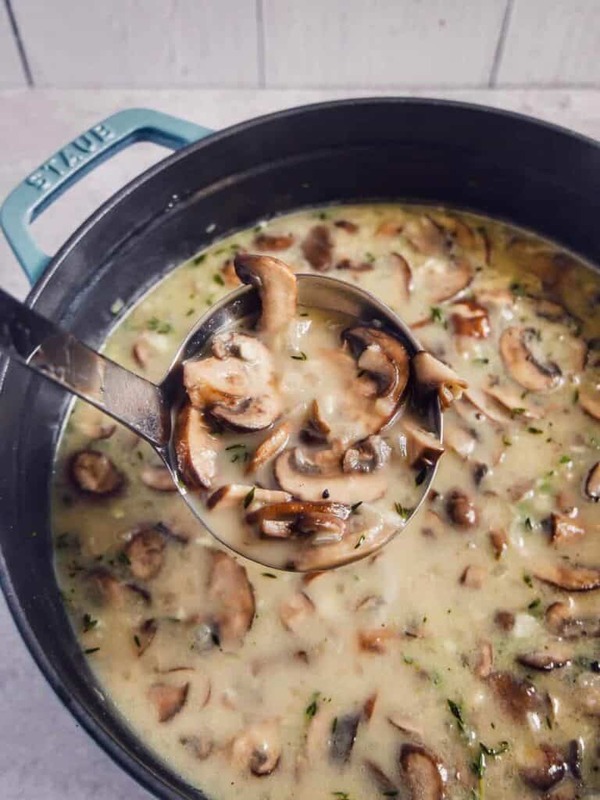 This is for any mushroom dish, not just this soup. 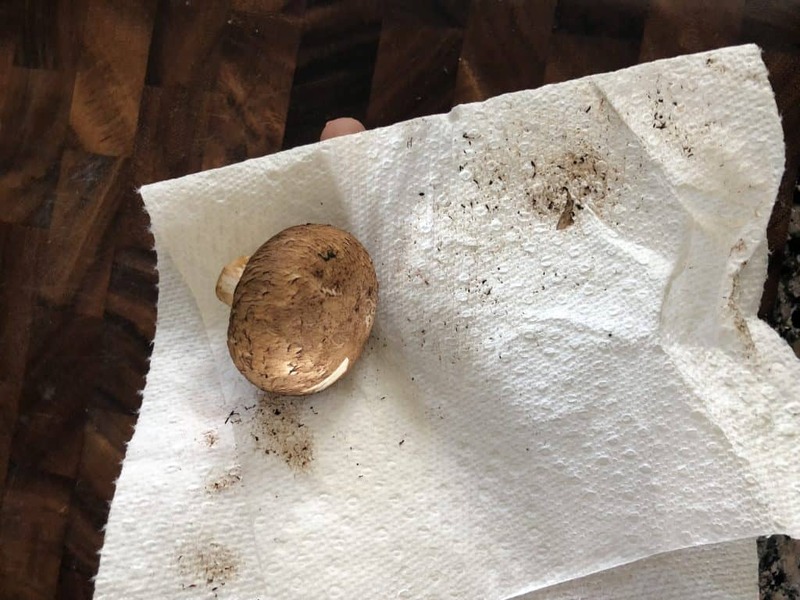 You can use any combo of mushrooms, but I had baby portobellas on hand. You will want to slice them after cleaning them. 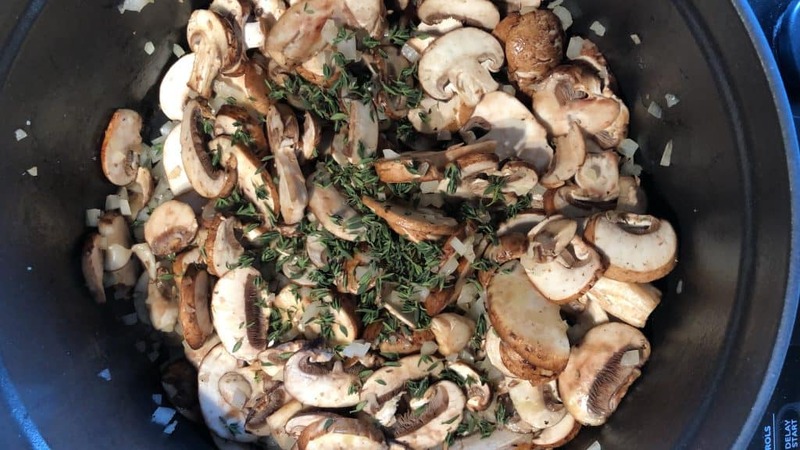 Now to start the soup, add 2 tbsp of olive oil, the mushrooms, fresh thyme, and Salt/Pepper. 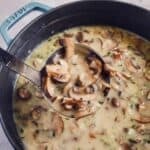 Allow these to cook for about 10 minutes for the onions to soften and the mushrooms to cook through. 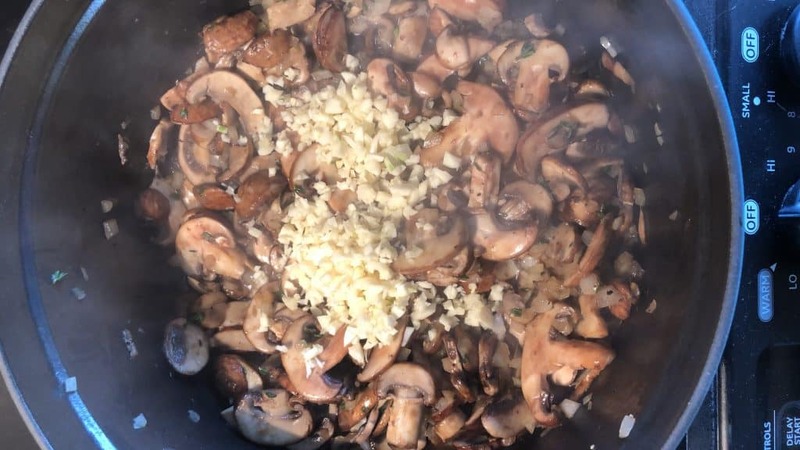 After the mushrooms have cooked, add in the garlic. I didn’t want to add the garlic in the beginning due to the high heat, I didn’t want them to burn. Allow this to cook an additional minute until the garlic is fragrant. Next we are going to add flour, this will help thicken the soup and make it creamy. You’ll stir in the flour until absorbed. Now for the liquid part of the soup. 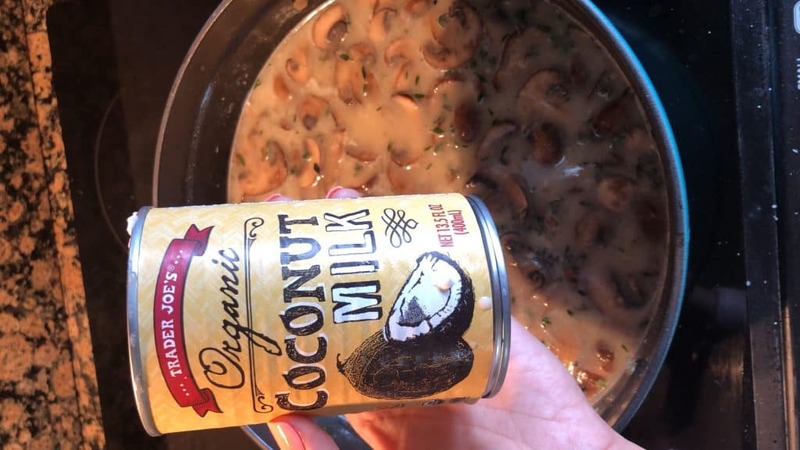 I used coconut milk instead of regular milk because the flavors compliment each other so well. I also used a touch of tamari, lemon juice, and vegetable bouillon in the vegetable broth for umami flavor. 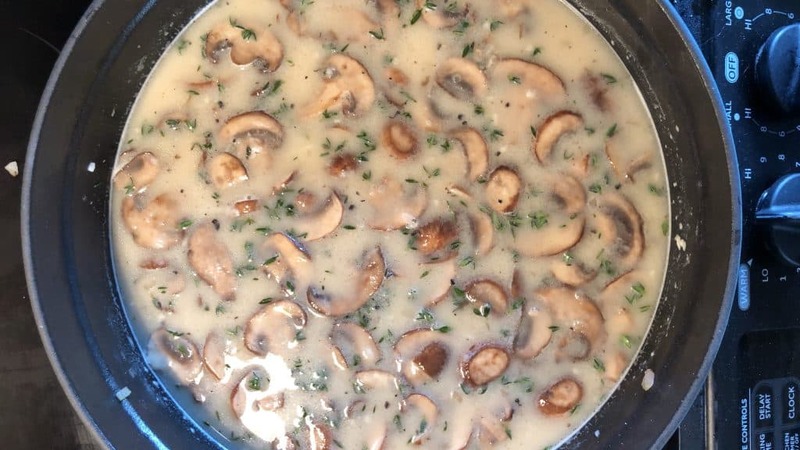 Whisk the broth mixture into the floured mushroom mix and keep mixing until the soup comes to a light boil. You want to make sure all the flour cooks/gets absorbed by the broth. Once the soup is lightly boiling, lower the heat and simmer for 10 minutes to allow all the flavors to meld together. Taste the soup and adjust the salt/pepper if necessary. OMG I could eat that whole pot. Loving that it’s vegan! Thanks Jo! 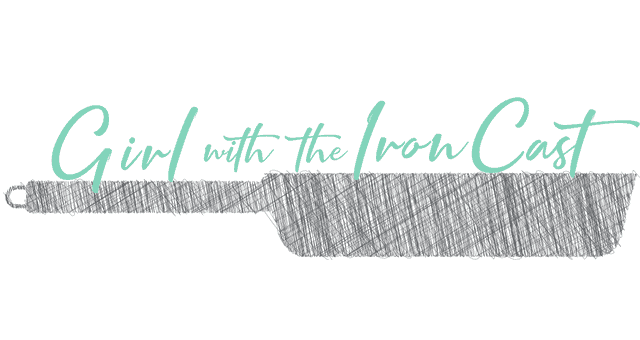 I hope you try it soon!